Hollywoods Bandit had a rough start to life. He is as sweet as he is beautiful and his future looks bright… but it was uncertain in the beginning. It was a warm spring morning on June 3rd, 2014. We had no idea of the emotional rollercoaster we were about to be on. During the foaling season I wake up with excitement each morning to see what mare might have had a new baby! I could see him from my front door! He was laying on a creek bank just west of my house. He was sleeping and his momma was standing guard over him. 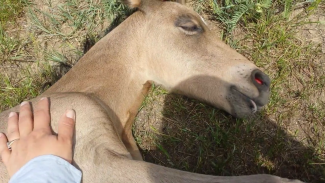 I pulled on my boots and ran down the hill, slowing down and sneaking up on the sleeping colt. 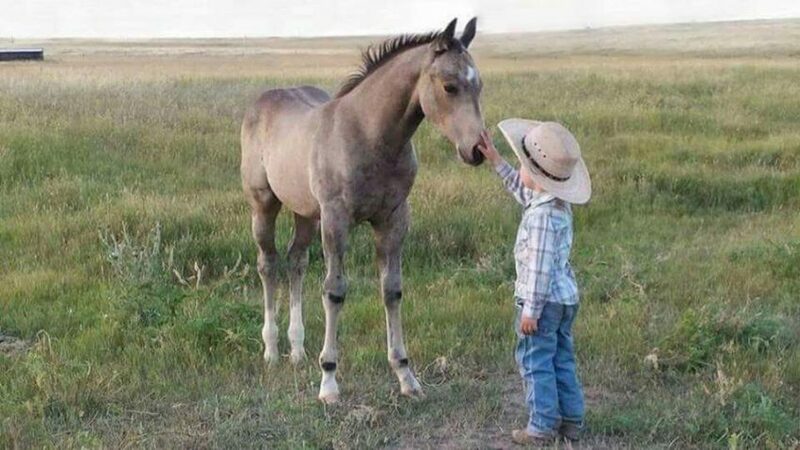 His momma had always been a sweet mare who had special place in our hearts. We called her B.B. It stood for “Bandit’s Baby”. Her momma, Bandit, was a mare we had while I was growing up. She was one of best mares we ever had. 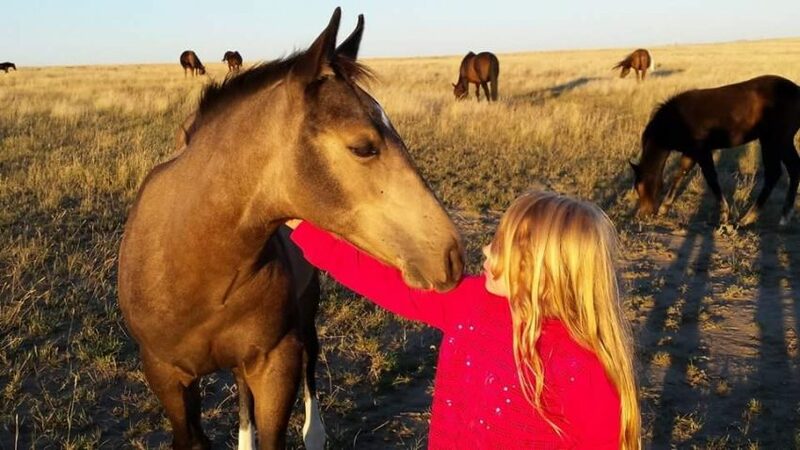 Year after year she had the most amazing foals that grew into awesome horses. Many of them became like family members. B.B. was one of the sweetest of Bandit’s babies. New baby today!!!! :,) 2014 Stallion- out of a mare who has bloodlines we have been raising for decades and by our senior sire Zack's Dun It! The story was about to take an unexpected turn. That evening when my husband returned home I told him about the new colt. We went to see the new colt. When we found the broodmares and babies we could see that B.B. was soaking wet with sweat and obviously stressing. I called my dad and he said to get her to the barn and he would call the vet. The moment we walked B.B. in the barn she fell over dead. It was the saddest moment I had experienced in a long time. 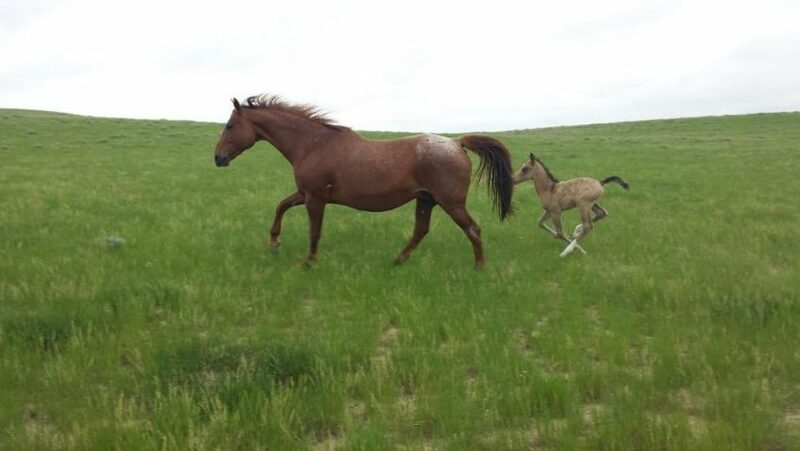 Her cute little colt making noises and running around his mother’s body. I made a promise right there to B.B. that I would take care of her baby and do my best with him. My husband and my dad were both trying to put on their tough faces, but it was definitely a sad situation for all of us. B.B. had been bleeding inside and had no signs or symptoms to show this until it was too late. 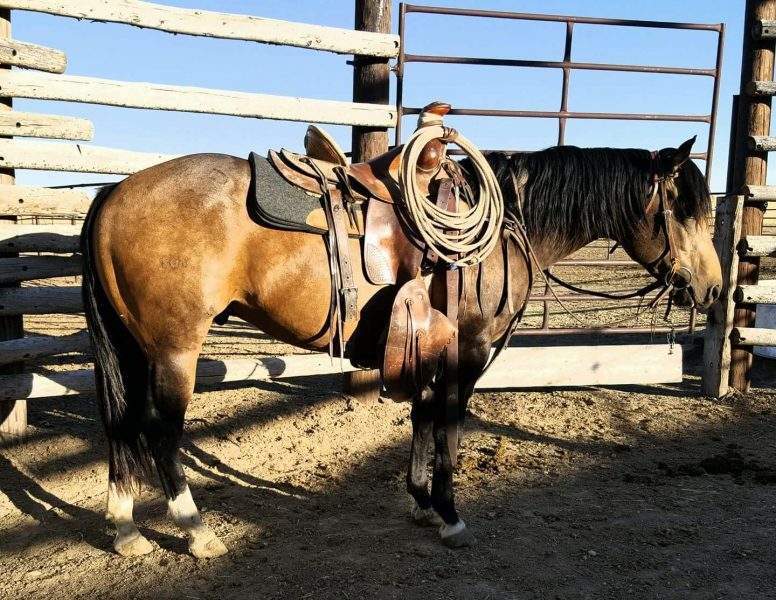 We decided to name the buckskin stud colt after his grandma and call him Bandit. 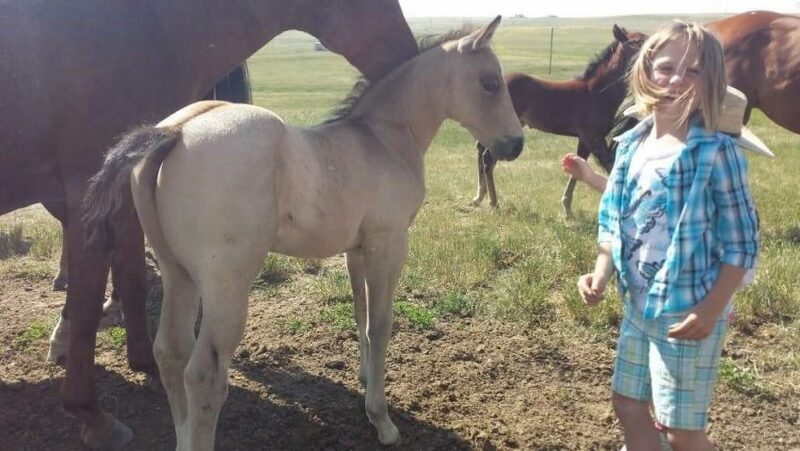 After I gathered myself up and caught my breath we all talked about what needed to be done next to save this colt. The last thing you want is a bum colt on a bottle. 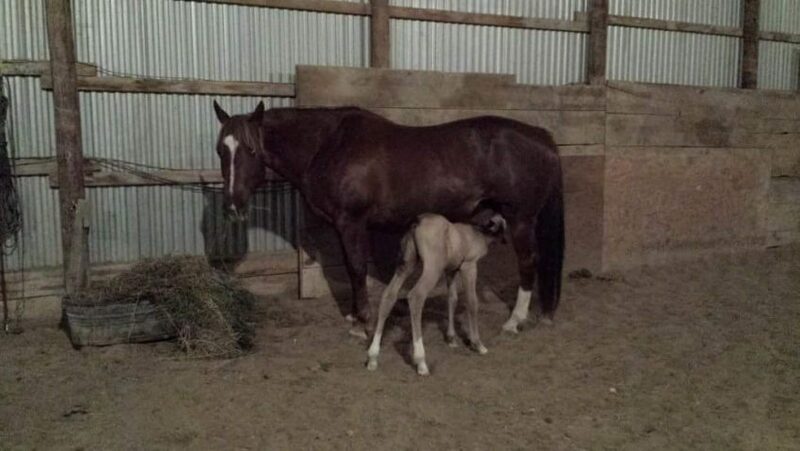 A colt needs to learn some life lessons from a momma horse. We thought maybe we could find a nurse mare through Facebook. Miraculously, we found one! She was a very nice mare that belongs to a friend named, Sam. Sam brought her mare out and she really wanted to be the momma to Bandit. Unfortunately, the mare’s foal had died 4 days earlier. She was at the end of her milk. We got some shots from the vet to try to bring her milk back. 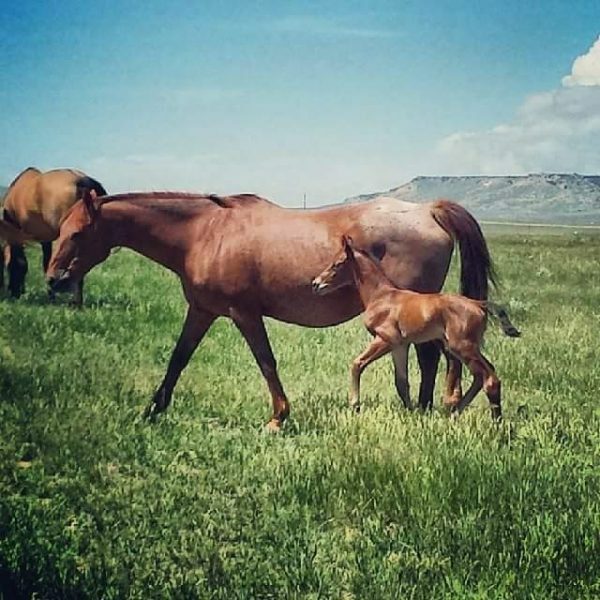 In the meantime, June 4th, a red roan mare of ours has a bay stud colt. 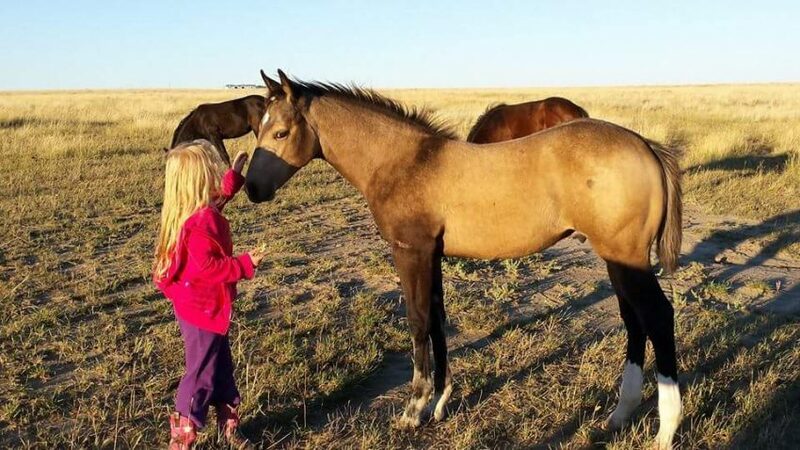 We call this mare Roanie and she has nice colts every year. 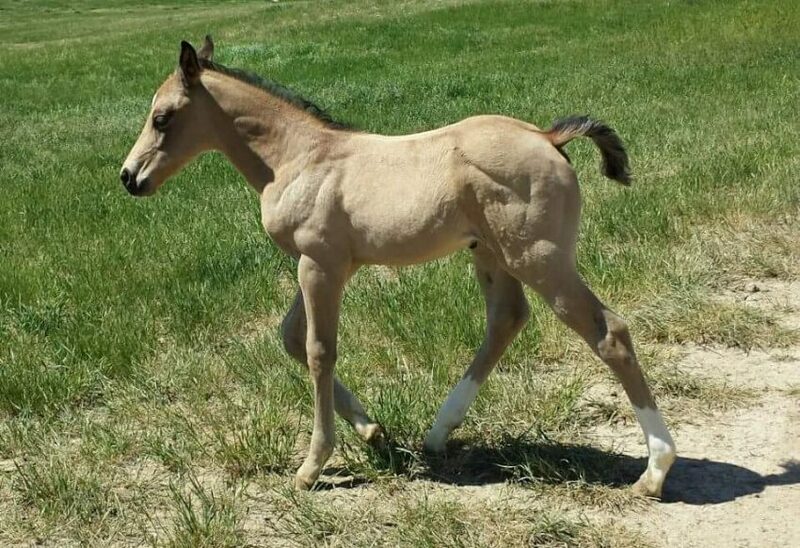 The bay colt looked healthy, but unfortunately the next morning he was found dead for no apparent reason. This was a tragedy and an opportunity at the same time. 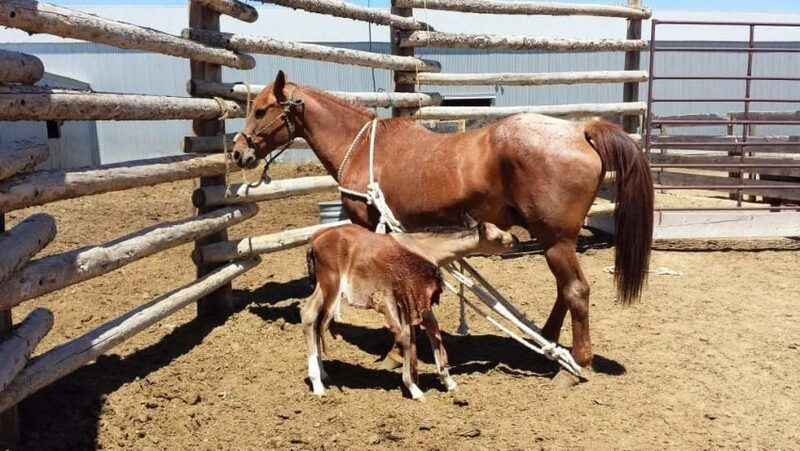 As much as Sam’s mare wanted to be the momma to Bandit, she just didn’ have enough milk and he was starting to go down hill. 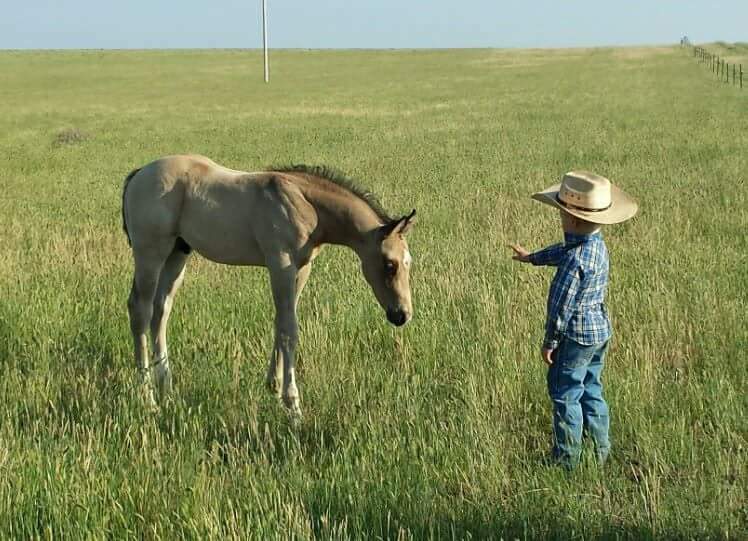 Roanie and her bay colt. Roanie was upset about loosing her foal. We decided to graft the bay colt’s hide onto Bandit to help convince Roanie to raise him as her own. This is a common practice with cattle and you can read about it here. Roanie and Bandit getting introduced. Along with grafting the colt, we also put a little Vicks Vapor Rub in her nose. It did the trick! We left them in the corral together for a few days. Then we took the hide off Bandit and turned them out together! Roanie and Bandit taking off together. Bandit started filling out. Within a couple weeks you would of never known the rocky start he had. Bandit strutting around showing off his ripped muscles! Bandit was always so friendly when we would go out to check on the mares and foals. He was always the first one to walk up and want some loving! Bandit being so friendly really brought a smile to Caylyn’s face. Bandit and Bridger have been buddies from the beginning. Bandit has since grown into a big boy, but not without one more challenge. I’ll share our continued adventures in my next post.